Contest: Yep, Another Nexus 7 32GB HSPA+ and $25 Google Play Gift Card Up for Grabs! Day 4! 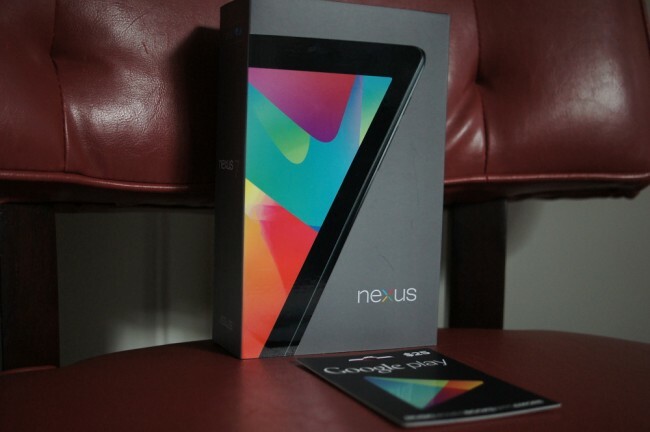 All week, we’re giving away Nexus 7 32GB HSPA+ tablets coupled with $25 Google Play gift cards, thanks to the fine folks at Google. We only have two left after three days of amazing contests, so be sure to get in on the last couple. On Monday, you gave us your best Android haikus. You then followed that up with incredible artwork and panoramas. For today’s contest, we’ll make it even simpler. Update: Our winner is Nicholas, who described Android in 5 words as, “Android For The Win, boom.” Congrats! 1. Share this post with your favorite social network: Twitter, Google+, or Facebook. 2. In the comments, describe Android in 5 words. Today, at 4PM Pacific, we will randomly choose the winner from the comments. *Winners need to have U.S. addresses.